A playlist to keep you going in your activism. Music and advocacy have always been at the core of the Global Citizen movement, and these songs exemplify this union. You can join us in taking action here. From the use of folk songs during the Vietnam War protests of the 1960s and 70s to the blaring of Kendrick Lamar’s “Alright” during Black Lives Matter marches, music seems to be indispensable to the world of activism. Oftentimes, music plays a double role in political movements — spurring action and then bringing together disparate groups with a cohesive rallying cry. This year, many artists responded to growing political trends like climate change, immigration, and the pursuit of racial equality with calls to action, balms for the spirit, and songs of reflection. Here are 12 songs that captured the activist spirit of 2018. 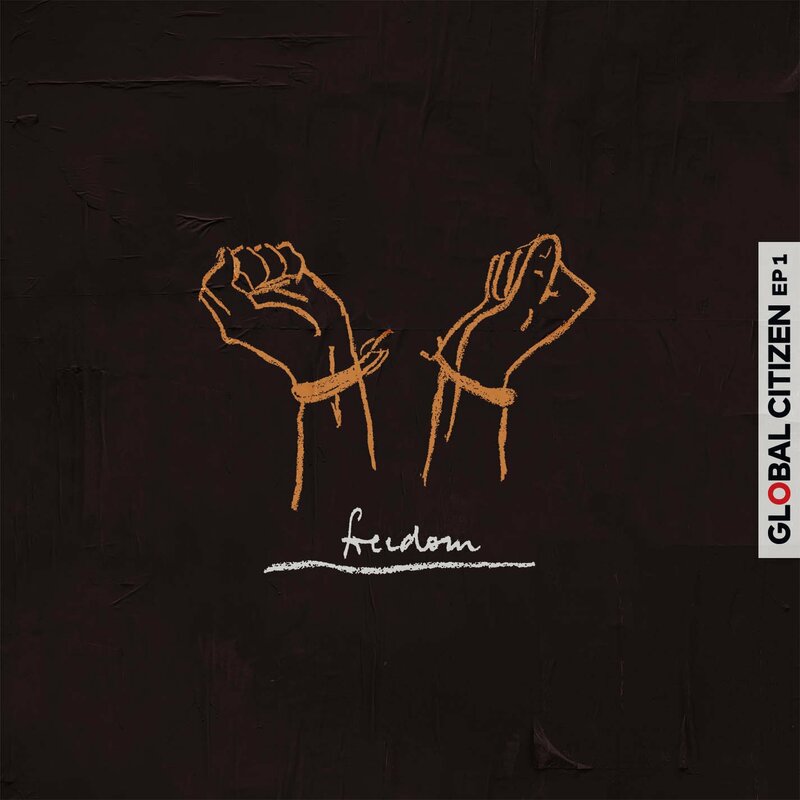 The Global Citizen Ep I is a celebration of global sounds and a persistent call to action. In the opening track “Rise Up,” the words of human rights legend Nelson Mandela can be heard over a jazzy, funky beat, and in “Timbuktu” Cassper Nyovest and Stormzy join Los Unidades for a song about looking toward the future with hope. Janelle Monáe’s latest album “Dirty Computer” is her most political to date, exploring issues ranging from racial injustice, gender inequality, and climate change. In “Crazy, Classic Life,” Monáe imagines a world where being black isn’t stigmatized and marginalized, while also reckoning with the inequalities that currently abound in the US. Meek Mill’s first song after being released from prison earlier this year, “Stay Woke” is a searing indictment of the US criminal justice system and racial injustice more broadly. “Stay Woke” is a song about overcoming adversity and activists from all walks of life can take inspiration from the chorus. This epic, nearly 10-minute song showcases Kamasi Washington’s virtuosity as a musician and bandleader, but it’s also a rousing call to action once the lyrics begin. The first collaborative album by JAY-Z and Beyoncé shows the two icons at the height of their skills as they look back on their lives and exult in their stardom. “Black Effect” is perhaps the most political song on the album and features the two artists referencing freedom riders, Malcolm X, and Martin Luther King Jr., as they rap about the black experience in the US and condemn police brutality. Thom Yorke’s Radiohead has always explored dark subject matter and in “Hands Off the Antarctic,” he gets to think about the consequences of climate change through a partnership with Greenpeace in support of the environmental group’s efforts to protect the Antarctic. With a simple synth and drum machine arrangement and a soaring choral undertone, the song evokes the menacing advance of climate change and the grandeur of the environment. “There are some places on this planet that are meant to stay raw and wild and not destroyed by humanity’s footprint," Yorke told the Independent. “One Day” is a classic rags to riches story of triumphing against the odds, but it gains a sobering political dimension through its music video which features two stories that eventually collide. In the first story, we see a Mexican family being detained and forcibly separated at the US border and follow the son through American foster homes. Alongside this tale is the story of a boy growing up in a white supremacist household who eventually embraces this bigoted worldview. Equal parts wry, jaded, and excited, “Blaxploitation” showcases Noname’s nimble wordplay as she thinks about what it means to be black in America. Too many think pieces have been written on the nonstop nature of politics in the age of social media, but The 1975 frontman Matthew Healy nonetheless tries to distill the chaotic experience of going online in “Love It If We Made It.” Although the song seems to dwell in nihilism, it’s ultimately hopeful that the Internet’s toxic patterns can be overcome.